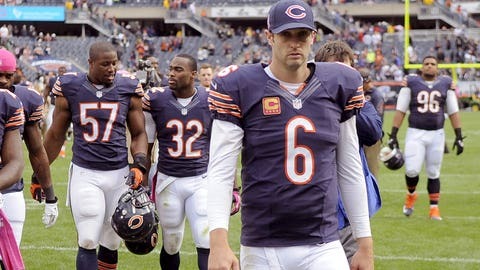 Jay Cutler might not have support in the locker room. FOX Sports NFL Insider Jay Glazer reported on Sunday that many in the Bears organzation did not agree with the decision to put Cutler back under center as the team’s starting quarterback. Huh? Those same people feel backup Josh McCown is a better leader and may be a better option at this point. It can’t be argued that McCown performed admirably while filling in for Cutler, who was recovering from an injury. You can watch Glazer’s entire segment above.